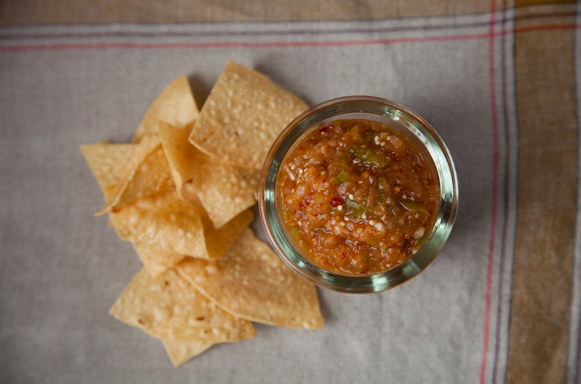 My friend Marly made this Grilled Tomatillo and Pineapple Salsa for fish tacos one night and we went crazy. We kept calling it crack. She has made it several times since and we can never get enough. We eat it with tortilla chips, fish tacos, quesadillas, you name it. It's so super spicy and sweet. Amazing flavor. If you like halibut fish tacos, this is a must try. To cut down on prep work, Marly uses 2 cans of tomatillos instead of roasting fresh ones. She also uses more chipotle chilis in adobo sauce than the recipe calls for (maybe 2 or 3 instead of 1). Throw it all in a cuisinart and it's done in less than 10 minutes. 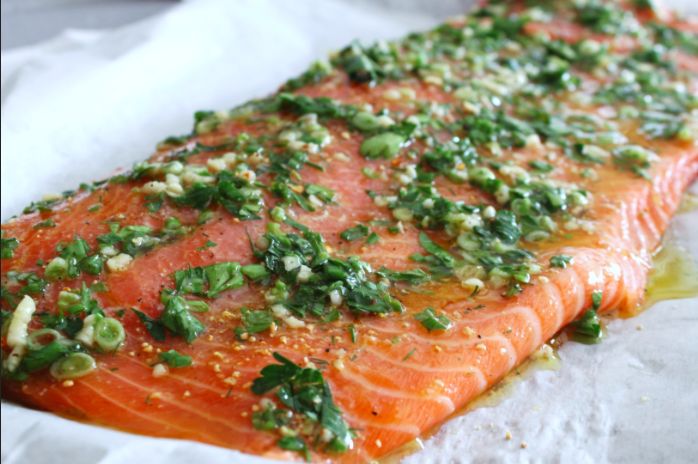 My friend Meredith made Ina's Roasted Salmon with Green Herbs for a small dinner party one night and it was delicious. She served with Ina's orzo salad (minus the shrimp) and crab strudel as the appetizer. Amazing dinner. I made the salmon last night for a friend and it turned out great. Quick and easy. I served with Marly's Green Bean & Kale Salad. Starter appetizer was a version of this spread - crostinis, good mozzarella, roasted tomatoes (2 kinds), basil and prosciutto. Perfect dinner for two.